Will Someone Actually Pay $35K for This Rare Quarter? Grab your coin purse and pull out your magnifying glass. First, kudos for owning either of those items in 2016. Second, look for one very specific quarter. Look closely, because if you have it, it could be worth tens of thousands of dollars to the right buyer. 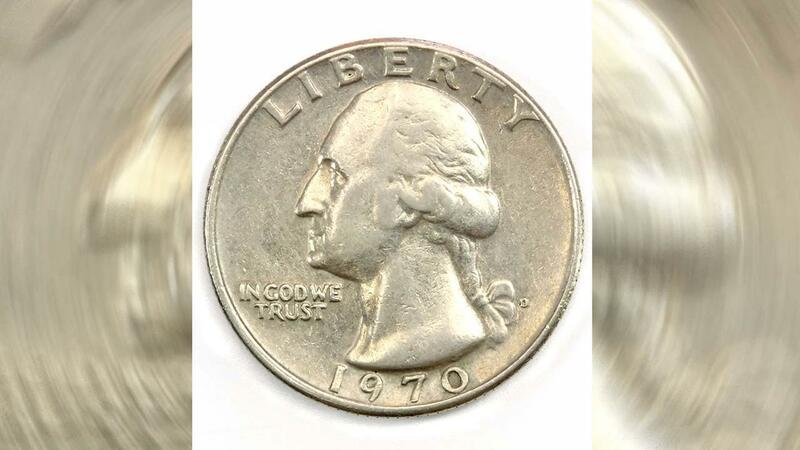 This 1970 Washington Quarter is listed on eBay for a whopping $35,000. The listing recently turned up in an AOL.com roundup. More than 1,300 people are watching the auction and 23 have expressed interest in buying it. Even the layperson would expect centuries-old money or out-of-circulation coins to be worth, well, a pretty penny. But why is this seemingly typical quarter, that’s probably younger than your parents, in such high demand? The quarter was struck over a 1941 Canadian quarter, reports Woman’s World, and a shrewd eye can still spot remnants of the original currency. 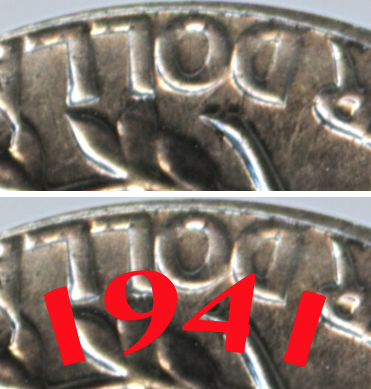 Over the word “dollar” on the American quarter, the eBay listing points out the faint imprint of the Canadian mint year, 1941, remaining. 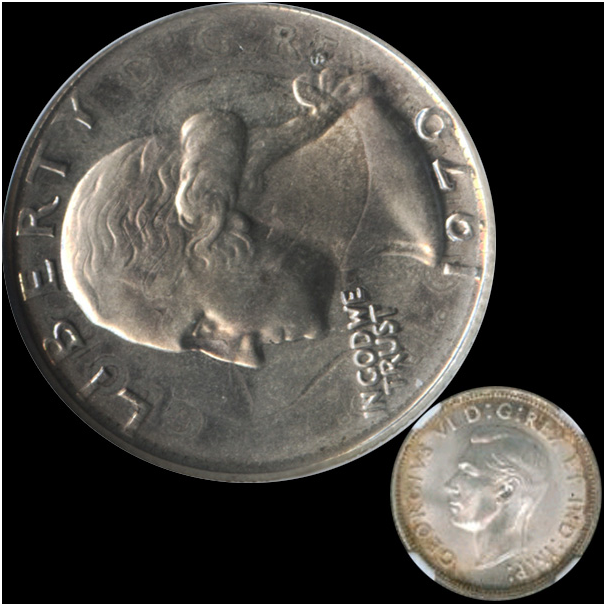 If you turn the quarter about 90 degrees, you’ll also notice the outline of the bust of King George VI beneath our quarter’s George Washington. See why you’ll need your magnifying glass? If you’re experiencing the cabin fever we have here in Florida under the clouds of Tropical Storm Colin, scrutinizing quarters could be a great way to keep the kids entertained now that school’s out! The outline of the British king’s head behind Washington. Will someone pay $35,000 for this coin? We’re eager to find out. In the meantime, keep your eyes open for other valuable coins. Your Turn: Have you come across any extra-valuable money in your collection?